The Habana Libre is situated in Vedado. The hotel has 572 rooms in a 25 floor tower. Opened in March 1958 as the Havana Hilton, the hotel was Latin America's tallest and largest hotel. 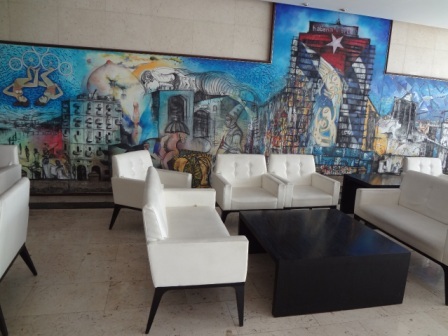 It was built by the pension fund of the union of Cuban restaurant workers but operated by the American Hilton Hotel chain. The hotel had a Trader Vic's as well as a casino, supper club, rooftop bar and pool. Today, the atrium lobby with glass dome features casual seating and a bar. The original central fountain has been dismantled. It remained a Hilton well into 1960, until relations between the US and Cuba had disintegrated. 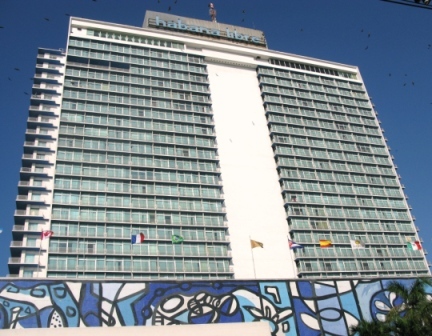 The hotel was taken by over by the communist government and renamed Hotel Habana Libre. In the late 1990s the Cuban state partly sold the hotel to the Spanish Sol Melia chain and it was renamed Hotel Tryp Habana Libre.